Visit for blogs on enterprise-class products based on open source PostgreSQL database. How to rotate PgBouncer logs in Linux/Windows ? Ernst-Georg Schmid: The Hare and the Hedgehog. Muscle, brain - or both? This work is licensed under a Creative Commons Attribution 4.0 International License. 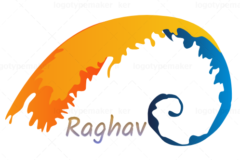 Copyright © 2011 - 2019 Raghavendra Rao | All Rights Reserved.